Thank you for your interest in joining the team at Dog Daze! 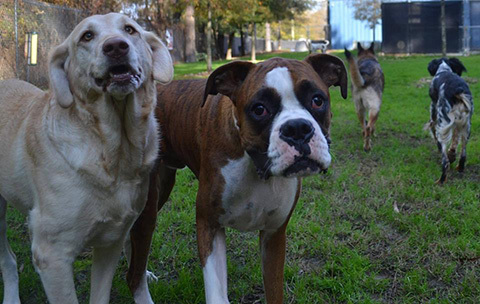 At Dog Daze, we believe that our customers and their pets deserve the very best care and attention currently offered. It is the responsibility of our employees to offer our customers an unprecedented level of service and care for their pets. This requires that all of our associates be passionate about their responsibilities at Dog Daze and that they possess both a love for animals and a desire to delight our customers with a positive attitude and superb work ethic. As a result Dog Daze is not for everyone. Applicants should possess excellent communication skills and have a desire to be part of a team that believes that the best care for your dog is expected everyday. Our staff needs to be willing to go above and beyond to ensure that every customer leaves Dog Daze wanting to return and happy with the services we have performed. This requires that our employees need to be flexible in both their schedule and their willingness to help out where and when required. application and drop it off in person. We welcome all full-time, part-time or seasonal applicants. "The best! 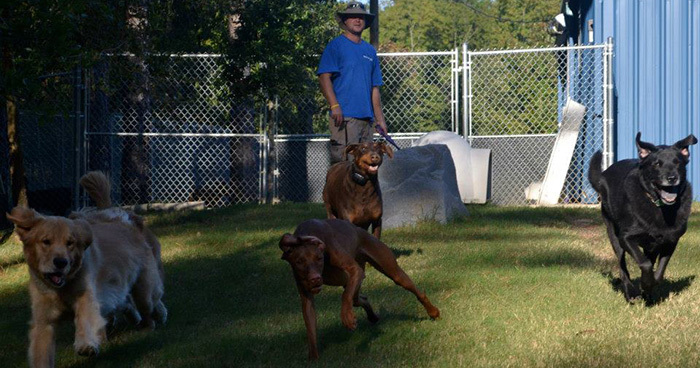 We feel confident that our dogs are not only always well taken care of but are happy here. The wonderful big yard is fun for them."